In the US, the mass shooting at Marjory Stoneman Douglas High School in Parkland, Florida in February 2018 – and the subsequent student-led activism demanding federal gun control reform – has reignited a bitter debate around guns and their place in the lives of Americans. 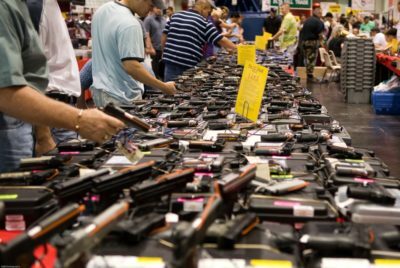 There are more than 300 million firearms in America. On average, 13,000 people lose their lives to gun violence every year, leaving many to feel that restrictions on gun ownership must be in place for the overall good. For others, however, guns are something they’ve grown up with – a facet of leisure and sporting culture, a necessity in some industries, like farming and ranching, and a right protected by the Second Amendment. How can we move beyond these binaries and have productive, effective discussions about guns in America? Front Page Dialogues: Guns in America is one model for engaging visitors in dialogue which we encourage you to adapt and ground in the unique history that your site works to preserve and share. You can access the dialogue here.